D12, Silversun Pickups, and the Black Keys will also play at the Voodoo Experience this fall. Click here for more! The lineup for New Orleans’ Voodoo Experience music festival has been unveiled, and it’s packed with some of music’s heaviest hitters: Eminem, the Flaming Lips, and Jane’s Addiction are scheduled to headline the event, which will take place Oct. 30 – Nov. 1 at the Big Easy’s City Park. 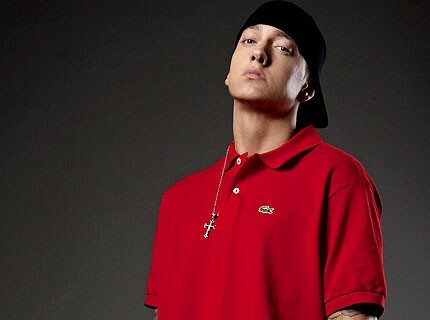 The festival is Eminem’s only scheduled concert for the rest of 2009; earlier this year, he played a surprise hometown show in Detroit to celebrate the release of his new album, Relapse.He also joined Jay-Z onstage at a party in Los Angeles earlier this month. Em’s hip-hop crew D12 are also on the bill. Other highlights include Kiss, Gogol Bordello, Wolfmother, Justice, the Black Keys, Eagles of Death Metal, Ween, Silversun Pickups, Janelle Monae, the Cool Kids, the Black Lips, and Mates of State. And that’s just the beginning! Meat Puppets, Mutemath, Q-Tip, Fischerspooner, Brand New, American Bang, Widespread Panic, Earl Greyhound, Squirrel Nut Zippers, All Time Low, the Knux, George Clinton & Parliament Funkadelic, Alejandro Escovedo, Shooter Jennings, and Drive-By Truckers will also perform, among others. Per usual, there’s also a mix of local blues, bluegrass, and jazz bands, including Preservation Hall Stars with Special Guests (with which MMJ’s Jim James has collaborated), Lil Brian & the Zydeco Travelers, New Orleans Klezmer All Stars, and Cyril Neville’s Blues Revue. Three-day tickets for the Voodoo Experience go on sale today at 10 A.M. via Ticketmaster.com. Check out the festival’s full lineup below.